Student Assembly fails to effectively represent students. Why I love the Supreme Court justices and you should too. People’s defensiveness about eating meat is revealing. “Reparations” are no solution to racial inequality. Or a haiku, something, anything! It’s time to compensate college athletes. One woman’s experiences at Dartmouth and abroad. Body positivity is about surviving trauma, not just self-image. The College needs to recenter students in career advising. 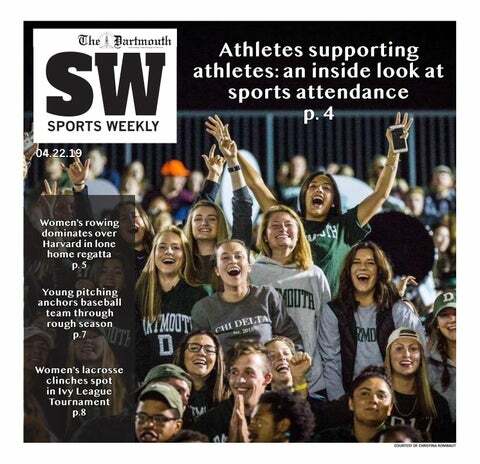 Dartmouth isn’t perfect — but we’re the ones who can change it. The U.S. needs a public revitalization, lest it risk communal death. Democrats must move on from the Russia investigation. Campus culture fosters a strange mix of healthy and toxic behaviors. The Christchurch shooting was fueled by Islamophobia. How a modern marketing strategy can revitalize baseball. Campus culture at Dartmouth favors students from elite backgrounds. Legacy admissions is the status quo at Dartmouth. It needs to end. Colleges need to stop fueling the admissions craze. Nationalism sometimes fails, but we abandon it at our peril. The bribery scandal highlights the unmerited role of wealth in college admissions.